Charming Mount Pocono has everything you've been looking for in the Poconos Mountains. Whether you're traveling with family and friends or looking for a romantic getaway, there are boundless activities in Mount Pocono. Visit any of our Pocono cabin rentals today and see for yourself! Call 718-303-0448 to book your Poconos vacation home rental today! Just minutes from the Le Chateau Magnifique - go splash around at Kalahari - America's LARGEST indoor water park. At over 220,000 square feet, Kalahari creates an amazing atmosphere full of wet, wild fun! Frequent Pocono Mountain travelers often book our Pocono cabin rentals and spend their days at the Kalahari. It's fun for the whole family and keeps you cool on those hot summer Pocono days! 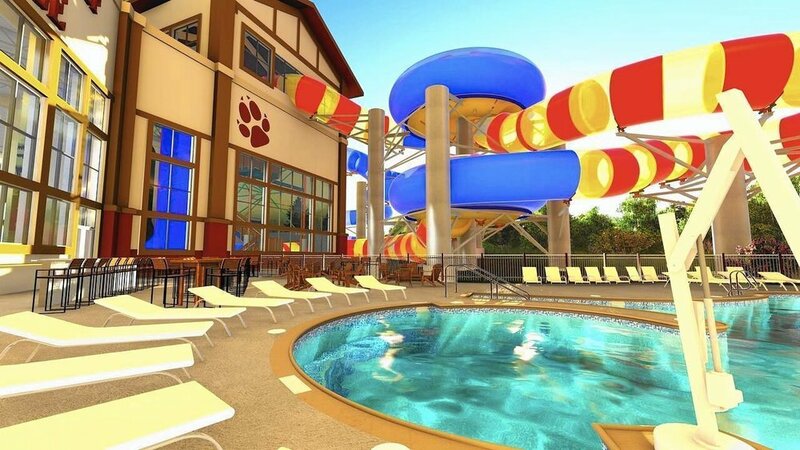 When booking a Pocono house rental, our guests make sure to stop by the Great Wolf Lodge Water Park Great Wolf Lodge provides slide-boarding, the double barrel drop, hydro plunge, coyote cannon, river canyon run and cool cabana rentals which let you re-hydrate for a day full of fun. Just under twenty minutes from Great Wolf, our Pocono cabin rentals like the Colonial Mansion and Water by a Cellar Door!